Distractions & procrastination: can you pass the marshmallow test? Would you take the one marshmallow now or wait for two later? Don’t let the marshmallow be a distraction! Procrastination is all about putting off for later something you don’t want to do in exchange for feeling better now. In the classic Stanford Marshmallow Experiment, Professor Walter Mischel offered young children a sort of opposite problem: feeling stress now by putting off something you want in order to get more of it later. Seems kinda cruel to me, and if I were a kid in the experiment, I’d have eaten the 1st marshmallow then held the researcher for ransom for five more — and now. The point is, however, that the ability to withhold the impulse for instant gratification is a powerful life skill. 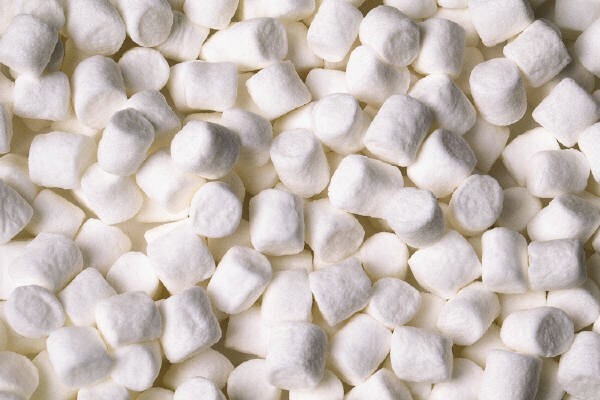 Children in the experiment who were able to hold off for two marshmallows were found, ten and twelve years later, to be “significantly more competent” than other adolescents and scored higher on SAT tests. Let’s think of distractions as the marshmallow swinging around like a hypnotic charm, tempting us away from our work. We know we can get two marshmallows later and, better, a real sense of accomplishment if we just ignore the temptation and get to our homework. But that damned marshmallow keeps whistling away at us. And so we give in, grab the marshmallow and forget about our work. The least you can do is be aware of what’s happening. That marshmallow, or whatever the distraction, is beckoning and tempting you, and it is an emotional decision to grab it. For those kids, they knew they could get two marshmallows if they just waited fifteen minutes. It just drove some of them crazy to wait. And for you and your work, you know you’ll be better off if you avoid the distractions until your work is done. That’s a rational decision, one you think about rather than just feeling like. If impulse says “yes,” at least stop and think about it before deciding to put off your work. Even better, “pre-decide” not to eat the marshmallow until you finish your work. If you make a pre-decision not to eat the marshmallow, you are more likely to resist the temptation than if you hadn’t thought about it in advance. Pre-decisions empower you over impulse. See here for that and other techniques For getting your work done and defeating procrastination. We are who we are, and our individual prefrontal-cortex is what it is. That doesn’t mean that each of us can’t succeed like any other or reach our unique and beautiful dreams. If you suffer from distractions and impulse, identify it, know it’s causes, and get to work on fighting back. Good luck, and let me know what works for you!